Biologists of all stripes attest to evolution, but have debated its details since Darwin’s day. Since changes arise and take hold slowly over many generations, it is daunting to track this process in real time for long-lived creatures. 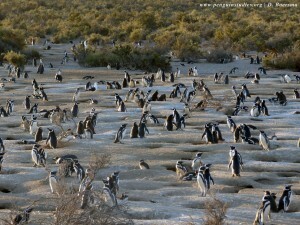 Boersma studies one particularly intriguing long-lived species, the Magellanic penguins of South America. She has spent 34 years gathering information about their lifespan, reproduction and behavior at Punta Tombo, a stretch of Argentine coast that serves as their largest breeding site. 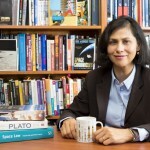 Boersma and her colleagues combed through 28 years’ worth of penguin data to search for signs that natural selection — one of the main drivers of evolution — may be acting on certain penguin traits. 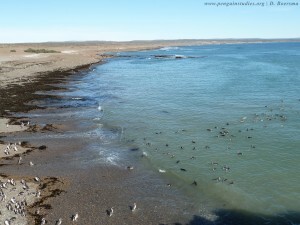 As they report in a paper published Sept. 21 in The Auk: Ornithological Advances, selection is indeed at work at Punta Tombo. “This is the first decades-long study to measure selection in penguins, and only the second one for birds overall,” said lead author Laura Koehn, a graduate student in the UW School of Aquatic and Fishery Sciences who worked with Boersma as an undergraduate. 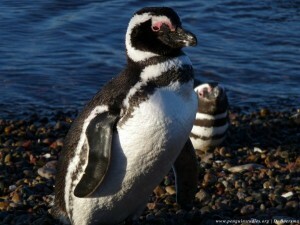 Like all penguins, the Magellanic variety are natural swimmers, where they feed on the bounty of the oceans. 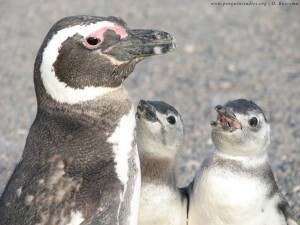 But once a year they return to the Argentine and Chilean coasts to mate and molt. Their “serial monogamy” — fidelity to one partner per breeding season — as well as a nagging preference to breed in the same general location each year make it possible to track individual birds over time, Koehn said. Boersma began the project, which is ongoing, in 1982. “Our question was simple: for these traits, do offspring resemble their parents?” said Koehn. 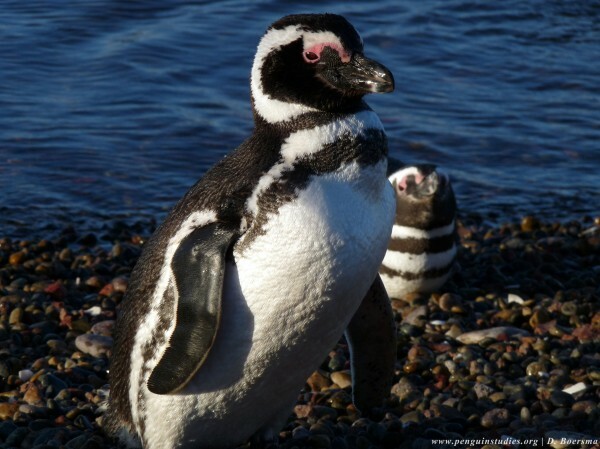 By measuring an entire population — like the Magellanic penguins at Punta Tombo — Boersma’s team could see if individuals with certain characteristics, for example a large body, were more successful at breeding over the years. Koehn and co-authors searched for signs of selection across 28 years of Boersma’s data. She could detect selection in seven of the 28 years for both males and females. 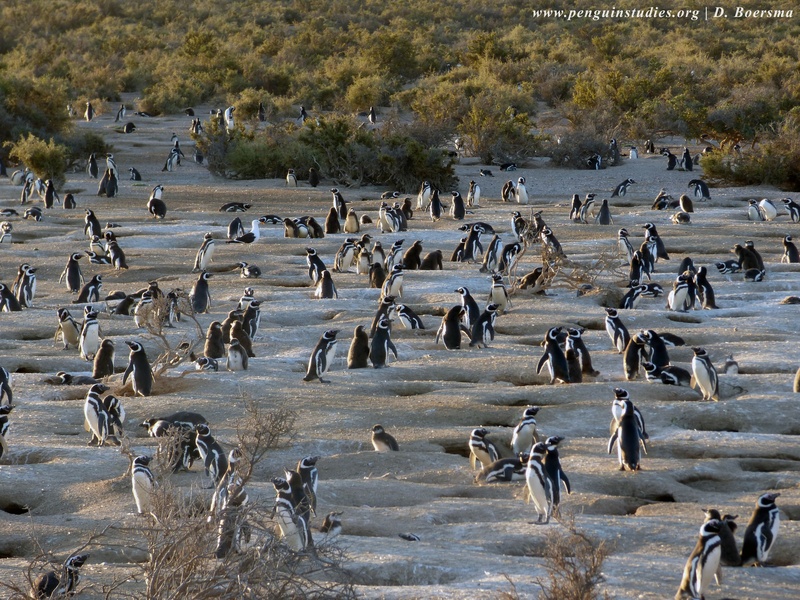 Selection is likely acting on these traits every year, but the highly variable conditions at Punta Tombo mean that the “direction” of selection on each trait may fluctuate too much to see over just 28 years, said Boersma. As the study continues, researchers may divine signatures of natural selection over additional years. 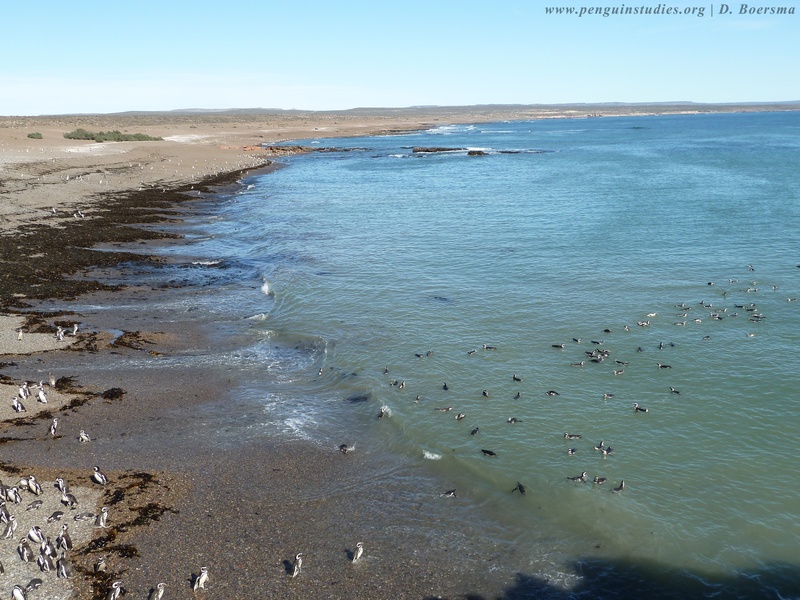 “Now we’ve been able to track natural selection in a second bird species thanks to these decades of observations at Punta Tombo,” said Boersma. Encouraged by her team’s findings with Magellanic penguins, Boersma intends to continue collecting data — tracking traits and survival for even more generations and repeating this analysis. “This is only the beginning,” she concluded. For more information, contact Koehn at 206-616-2791 or laura.koehn216@gmail.com. Boersma is currently abroad and unreachable.